The Australian Government is very particular about who can translate documents for migration purposes and for good reason as you’re dealing with legal documents. The Australian Government therefore only trusts translations from NAATI certified translators. NAATI is the body that tests and registers translators in Australia and due to the stringent testing, they’re the only ones that are certified to translate documents for migration purposes. If you’re outside of Australia, the Australian Government trusts that you will find a translator that is qualified and certified to translate legal documents in your own country. But if you are in Australia you’re advised to use only NAATI certified translators, so who are they and how do you find them? The area of translations is a dangerous minefield because there are many people who claim to be able to translate documents, and yes, even Aunt Gertrude who has studied 17th Century German literature would be able to translate your German documents into English, but would it be accepted by the Australian Government? The answer is no, unless your Aunt Gertrude is a qualified and certified by the translation body of Germany to translate legal documents. Otherwise Aunt Gertrude is just Aunt Gertrude. Whilst you may think that you can translate your own documents as you have a firm grasp of English and your own mother tongue, you’re not technically qualified to do so unless you also have a degree in translation studies and you have been certified in your country as a translator. Finding a NAATI certified translator is easy and can be done through the central database located at the NAATI website. Simply enter your language and location and you’ll be able to find a NAATI certified translator. Note that while NAATI is an Australian organisation, there are instances of translators located overseas. 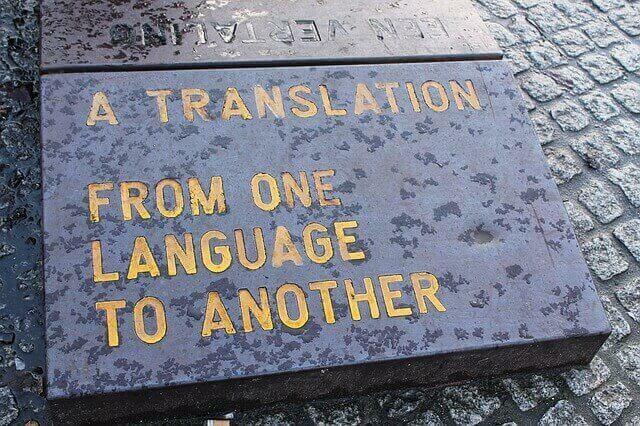 There really is no rule on how to choose a good translator. I trust that being accredited and certified by a national organisation means that they really can do what they say they do. That’s the whole purpose of certification isn’t it? So that being said, I choose my NAATI certified translators based on where they are located. This is because hard copies need to be sent to you so you want to keep those postage costs low. I also tend to use translators that have experience with legal documents as they’ll readily understand the purpose of the translated documents. Translations are done on per page basis and often times the price depends on the document that you’re translating. For example, an educational diploma with individual course subjects and marks would be different to translating a birth certificate. This is why it’s always best to get a few quotes. And by a few you should request at least 3 quotes from different translators so you can compare. I also tend to choose translators who have websites and are comfortable with doing things online. This is more for my convenience than anything. Everything else in the partner visa application evidence gathering stage already takes so much time – and sometimes, in person face to face time – that anything that will make your life easier is always welcomed. Translation companies also exist but once again shop around. You should always check their credentials as well because some companies farm out the work to NAAT certified translators and others simply get cheap translators who are not certified and then put their stamp of approval on it. Ask specifically if they’re NAATI certified translators and if they have experience translating documents for migration purposes. These companies tend to be more expensive as well but if you’re doing things in bulk, you might be able to negotiate a discount. But this is also true of individual translators. Always discuss with the translator. You do not have to use a NAATI certified translator, however you do need to use a certified translator i.e. someone that is certified in your country as a translator. This means they will use a rubber stamp to stamp your documents and sign off that they’re the real deal. It’s very popular these days to outsource most of the admin work and while you may be tempted by price of a ‘translator’ on gig sites like Fiverr or Upwork, you really shouldn’t even consider these as options for your documents. First of all, data security is an issue. You know even less about these ‘sellers’ online and you’re about to hand over confidential and personal identifying information. NAATI Certified translators are trained in handling documents such as these and are bound by a code of conduct. Second of all, the quality of the translations is also in question. Once again, you know nothing of their qualifications. Are they simply like Aunt Gertrude or like you can read, write and understand English to a good level? And on that note are they certified translators for migration purposes? That’s 2 criteria: certification and for migration purposes. That being said, these sites can be helpful to locate translators in your own country, if you are offshore. Perhaps other countries do not have a central body like NAATI to list all the certified translators, so in this sense, these outsourcing sites can be good to find a translator in your country. But do your due diligence! If they claim to have certifications or qualifications, request to see these.